Arrange a taxi to the Vegas Grandes and try to start the journey early in the morning - enjoy the forest, the animals (national bird - tocororo! ), The good-natured nature reserve officials who are happy to explain about plants and give animals . You may’ve been doing a fair amount of hiking in Cuba Unbound People to People tour of Cuba. 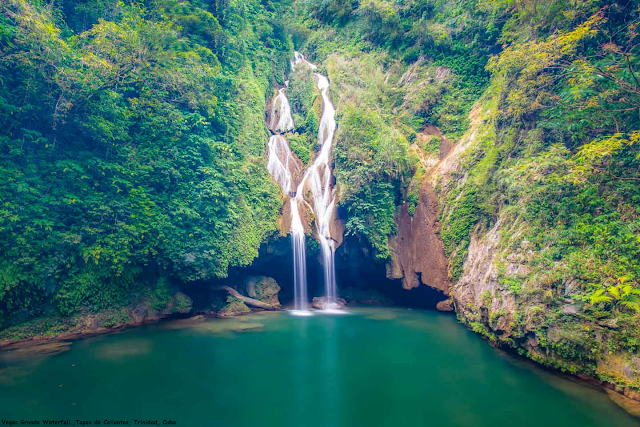 Including a steep descent through a national park path to this stunning waterfall at Vegas Grande. You must brought your bathing suits for a refreshing dip in the cold water after the sweaty hike through the forest. You are guaranteed to be reborn!